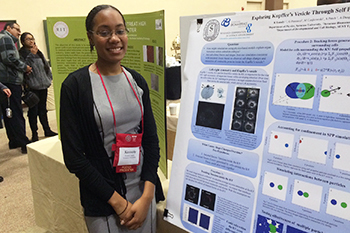 Kassidy Lundy ’16, a physics major in the College of Arts and Sciences (A&S), was recently awarded first prize for her poster presentation at the 24th Annual Collegiate Science & Technology Entry Program (CSTEP) Statewide Student Conference, held in Lake George in April. In the fall I will begin working with Dr. Ozgur Sahin in the “Bridge to the Ph.D.” program at Columbia University. 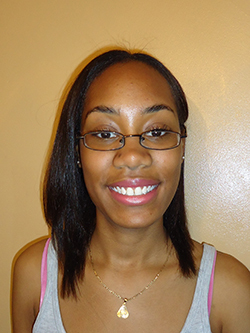 I aim to continue studying and researching biophysics on my way to hopefully earning a Ph.D. in the field and pursuing a career in academia.